A WOMAN from Bulawayo who was employed as an agent by ZB Bank has been sentenced to eight years in jail for swindling the banking institution of more than $400 000 through fraudulent electronic transactions. Chipo Pirukayi (37) of Pelandaba suburb, who is eight months pregnant, defrauded the bank by opening fake accounts in the names of her relatives and conducting fraudulent transactions. She prejudiced ZB Bank of $427 707,80 for a period spanning almost a year. Pirukayi was convicted by Bulawayo Regional Magistrate Ms Sibonginkosi Mkandla of 79 counts of fraud. She was sentenced to eight years in jail of which two years were suspended for five years on condition of good behaviour. Another four years were further suspended on condition that she restitutes the bank $427 707,80 on or before December 31, leaving her with an effective two years to serve. In her judgment, Ms Mnkandla said there was overwhelming evidence linking Pirukayi to the offence. “The accused person knew exactly what she was doing having discovered a loophole in the system and manipulated it to her advantage. Indeed, she had the intention to commit the offence and clearly her actions were unlawful. The court, in reaching a finding, did not rely on the so called confession as the other evidence sufficed a conviction,” said the magistrate. Pirukayi was a registered ZB Bank Point of Sale (POS) agent, whose duties were solely to offer services and products to clients such as opening of eWallet accounts, issuance of ATM cards, cash withdrawals, cash deposits and cash transfers. She was issued with a POS machine (ID 51310207) to enable her to execute her duties. Prosecuting, Ms Caroline Matanga said between January 24 and October 5, 2017, Pirukayi used her POS machine to credit accounts created in the names of her relatives with fabricated figures. She lied that the accounts had effected deposits into their e-Wallets. Pirukayi would then swipe into her POS machine using cards of non-existent clients. “She would then transfer money deposited into the accounts by the bank through the ZIPIT platform, internal transfer and sometimes make purchases with ATM cards,” said Ms Matanga. 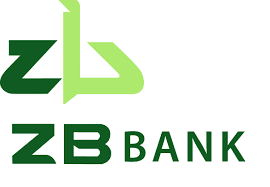 The court heard that on October 5, 2017, a team of forensic auditors, including the bank, conducted an audit of the ZB Bank E-Wallet banking system and discovered a series of inconsistencies.